The Franklin tank tops are extra long and therefore stay tucked into your pants better. 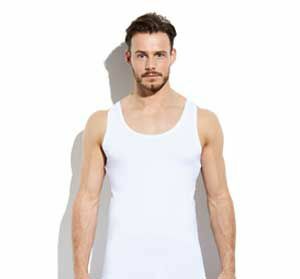 These undershirts have thicker straps on the shoulder than the singlets, a round neck and a slim fit. 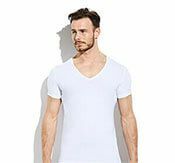 In combination with the high-quality finish, these tops ensure optimum wearing comfort. The model is 1.83m tall and wears size S.
I would also like some black sleeveless shirts for exercising. 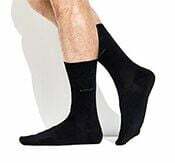 Very nice for in the gym, will there are also be black ones? Fit well and have a beautiful finish! My husband is very pleased with these vests.